Hate Mondays? Tired of being at your manager’s beck and call? Always dreamed of being an entrepreneur? Well, you’ve come to the right place, because we know just how you can accelerate into your rosy future: with your very own mobile business. There’s no limit to what you can do with the right ride. Here are just five bright ideas to get you started. A food truck sounds like a lot of work, right? Don’t you need fryers and toasters and other pricey equipment? Not necessarily. What people really want is coffee, so all you need to install is a quality roaster. Throw in some pre-made and packaged baked goods and you’re A for Away. If you roast beans, they will come. Who has time to get to the salon anymore? Not many. But what if you could bring the salon to them with a mobile beauty solution? That was the idea behind the Spot and Glamour Gloss Girls in South Africa, as well as overseas businesses like Deelux. Watch this clip to see how it’s done. Isn’t that how you’d like to spend your work breaks? You want to wash your dog. But you don’t want to have to wash your car too. Hair, dirty footprints, slobber… mobile pet groomers give people an opportunity to save their treasured car seats from all this, and most of them will jump at that opportunity. And why wouldn’t you want to spend your day playing with adorable animals. Can you say, “best job ever”? 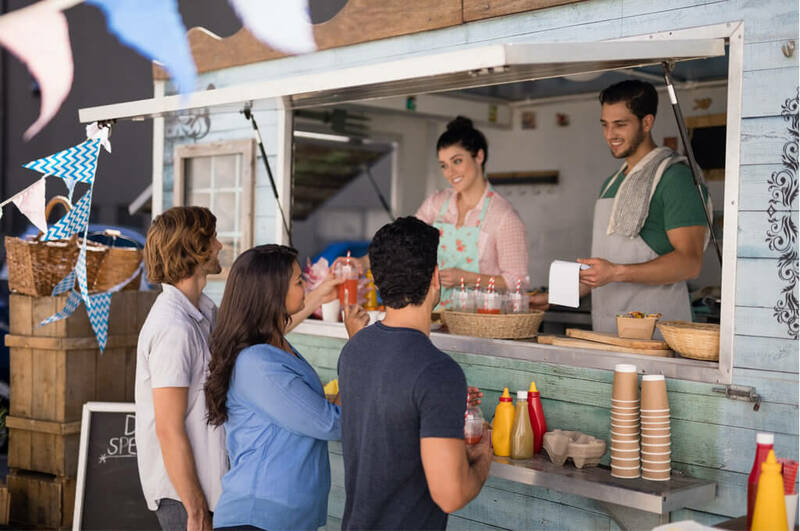 More mobile business ideas include fast florists, party buses for both kids and adults, more convenient grocery stores and more. Now, all you need is the right ride. Go to our website to explore a range of vehicles that are perfect for most mobile businesses, from our TATA SuperAce to full size buses.